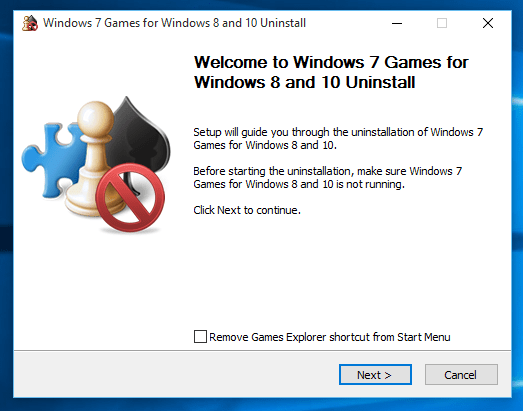 Windows 10 users can remove and uninstall Windows 7 games pack including games of Purble Place, FreeCell, Solitaire, etc using Programs and Features tool. If you upgrade from Windows 7 or Windows 10 to most recent Windows operating system Windows 10, you will immediately realize that the Windows games which are shipped with the OS by default are missing. 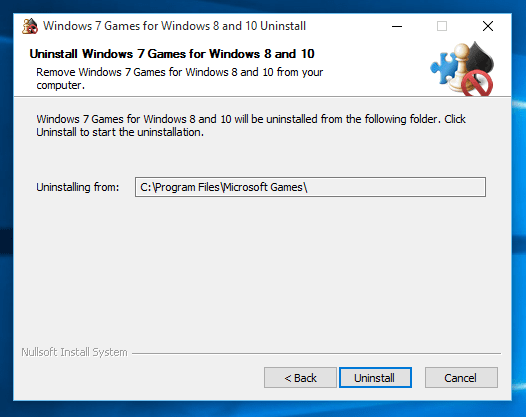 If you have already installed Windows 7 games, and did not want them on your Windows 10 PC any more you can follow the below steps to remove games easily. 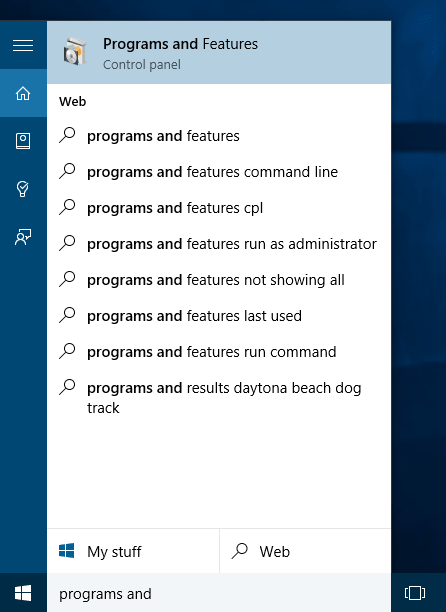 Search Programs and Features Windows 10 Control Panel item on your Windows 10 search box (where you activate Cortana) and launch the application. A list of installed programs, applications and apps on your current Windows 10 computer will be listed. Find the "Windows 7 Games for Windows 8 and Windows 10". 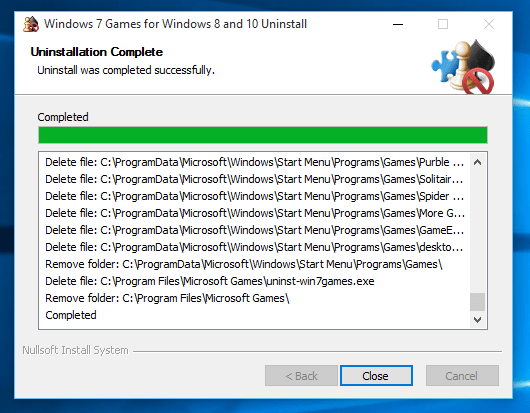 This is the software package which installs Windows games previously shipped by default including Purble Place, Solitaire, Freecell, Minesweeper, etc. Highlight the application and right click to display context menu. Click Uninstall to remove all those games which you were used to play since Windows Vista and Windows 7, or even earlier. Uninstallation wizard will be displayed to enable users remove Windows games pack from Windows 10. Do not forget to remove the Games Explorer shortcut from Start Menu. Clear the below check mark on the uninstall wizard. On the next step, uninstallation wizard will only display the path where the Microsoft Windows games will be removed from. Just press Uninstall button. Uninstall program will show the steps of deleting Microsoft Windows 7 games step by step. You can see the Windows 7 games removed including Purble Place, Solitaire, Spider Solitaire and Games Explorer, etc.